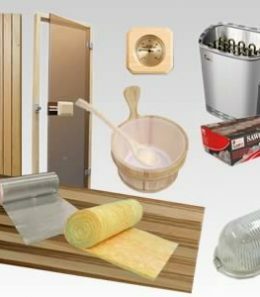 If you would like to utilize an existing room or space in your home for a sauna then Ukko Saunas precut kit is for you. Our pre-cut sauna comes complete with all the required timber, insulation and vapour barrier to cover interior walls, and ceiling based on your sauna room dimensions. We supply special sauna T&G panels in different profiles made out of clear grade Canadian Western Red Cedar (WRC). We help you to design your sauna and supply all the materials you need to build your own custom sauna including sauna heater with rocks, heater guard rail, WRC benches, bench supports, door, light fitting with lampshade and all accessories you may need such as bucket, ladle, thermometer, sand timer, floor duckboard, back supports and head rests.